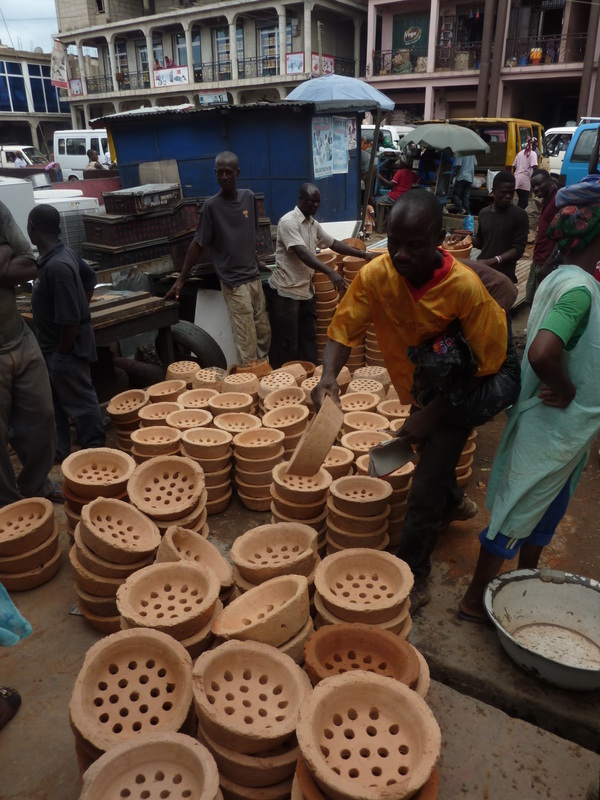 Gyapa Enterprises has six certified ceramicists in Accra , Takoradi and Kumasi who produce all of the ceramic liners for the Gyapa fuel-efficient cookstove. All ceramic liners go through a stringent quality control test to ensure fuel efficency and heat retention and are durable enough to endure Ghanaian cooking needs. 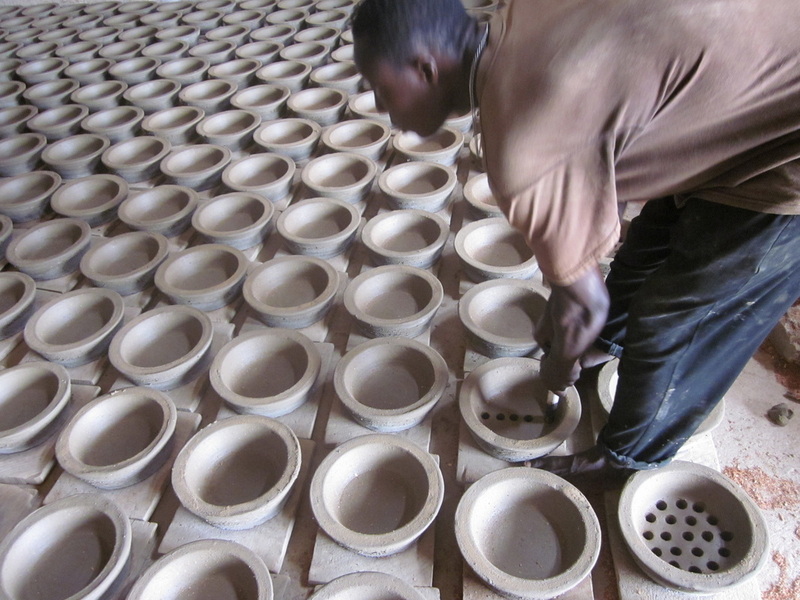 Meet some of our ceramic artisans and see how they make Gyapa cookstove liners. Quarm is our newest ceramist in Takoradi. He has received start-up capital and a loan from Gyapa Enterprises. He supplies manufacturers directly in Takoradi; this will increase ceramic liner supply availability in Ghana's Western region (manufactures were previously getting ceramic liners from Accra). Gyapa Enterprises has been working with Mr. Quarm for the past 8 months to test the quality of his ceramic liners, and to train and support his ceramic skills so he can produce Gyapa-quality liners. Our Technical and Marketing Advisor conducts randomized bi-weekly tests on all producers to ensure quality standards are being met, and Mr. Quarm has met these rigorous standards. 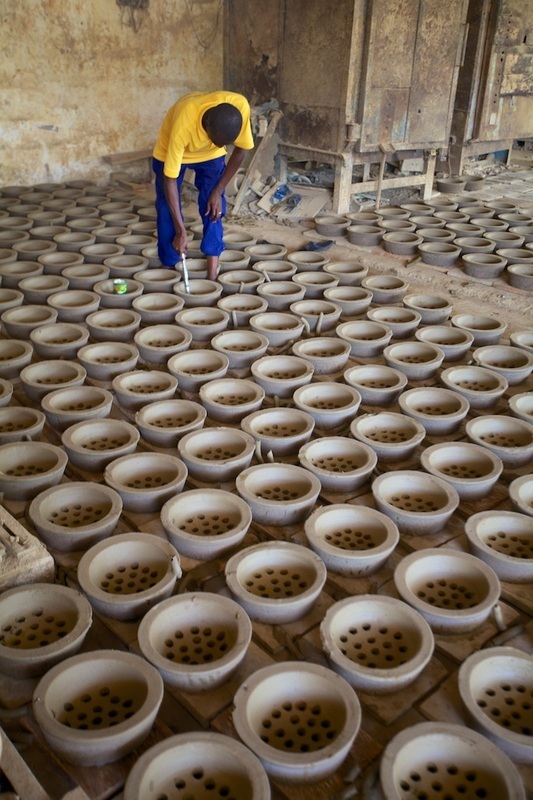 Justice Addison is a ceramics producer in central Accra. Addison joined Gyapa in 2006. He is also a ceramist by trade and used to export pottery to Europe in the ‘90s. Addison also has an engineering background. He is the only ceramist using a mechanized press. He built the press off of two used presses used to make plastic combs and re-fitted it to press liner into appropriate mold. His maximum machine production capacity (2 full-time machines) is 340 liners per day. He is also very risk adverse and will not produce until he has a guaranteed market. Typical monthly production is between 1,500 to 2,000 liners. Addison has received two working capital loans from Gyapa Enterprises valued at GHc15,000 ($8,500), which he is repaying in liners. Addison’s ceramic liners are regarded as the ‘most beautiful’ due to the smoothness from the press. How do these ceramic artisans make a certified Gyapa ceramic liner? It's all done by hand. Mr. Richard Ekem, our largest Gyapa ceramic liner producer, details in the video below the process of creating a liner, from mixing the clay, to molding the liner on the wheel, to drying, to firing. Kwame Poku is a leading ceramist in Kumasi for the past 5 years. Employing a team of 10, he used to produce all parts of the liner by hand – even grinding mixture together as his production center was not connected to electricity. 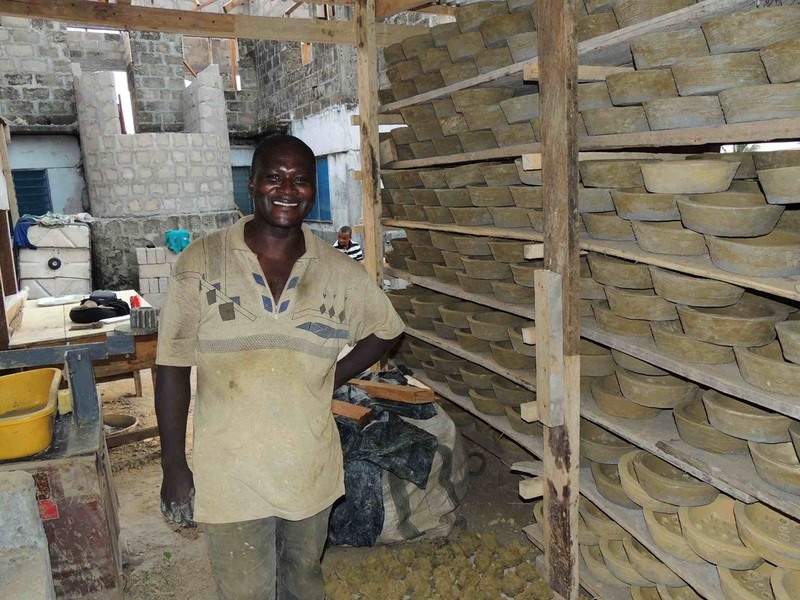 Gyapa Enterprises invested in Kwame’s business to connect his production center to electricity. Production electrification will increase production volumes to meet demand. The investment has doubled Kwame’s production to 3,000 liners per month.